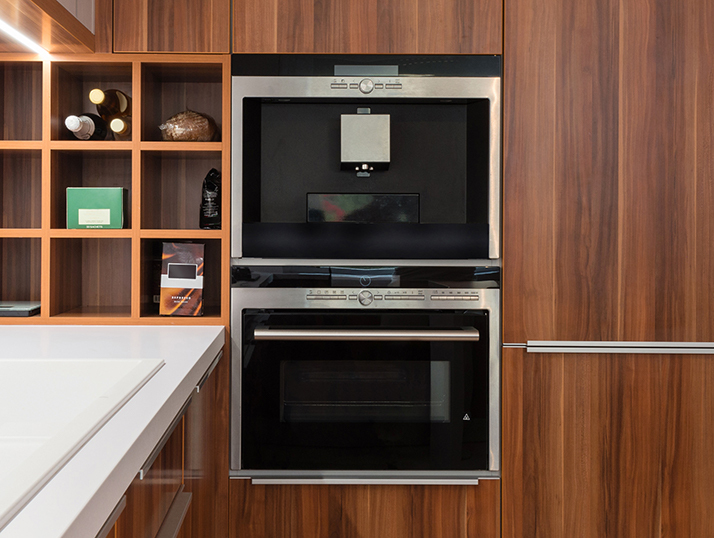 Wall ovens bring an entirely different feeling to a kitchen, while also adding utility and convenience to daily life. There are a few things to keep in mind when shopping for a wall oven to add to your kitchen, and bring a hearth to your home. If you are replacing an existing wall oven, it is important to go with the same size for ease of installation. Even standard sized ovens can vary in width by an inch or two, which can make replacing them tricky. Since a wall oven is considerably smaller than a traditional stove, you may need to reconfigure the space surrounding your old oven to install the new. You also need to determine which fuel type is best for you: electric or gas. Electric is significantly more popular, so there is a wider range of choices, while gas styles may run a bit cheaper. Depending on what you are looking to spend, you will have some choices to make in terms of options. For instance, do you want self-cleaning or the manual type? Perhaps it makes sense to upgrade to a convection cooking style oven. The price will climb when you look at features such as larger viewing window, temperature probes, porcelain racks, and better interior lighting. If you want to bring an element to your home's kitchen that makes it a warm, inviting spot to cook, you can't go wrong with a wall oven. Be sure that you measure and plan carefully, to ensure that the oven will fit in your current configuration. The options and upgrades available on the current market will ensure an appliance that is convenient and cohesive with your kitchen, lifestyle, and budget.